I’m a really big fan of Steve Carell. Not only is the guy really funny, he also manages, against all odds, to make most of his characters somewhat relatable. And he has such a great face that he manages to do that even in a still image. This poster is a good example. 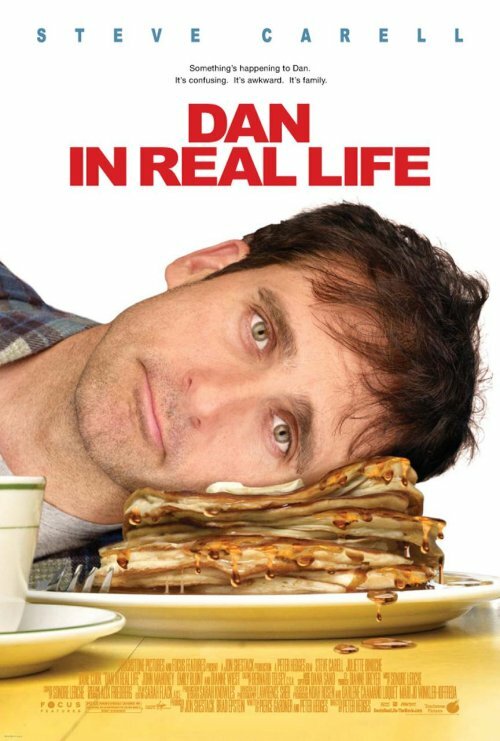 It’s quite silly, just a guy laying his head on a bunch of pancakes. But Carell manages to instill it with just enough emotion to make me not only laugh, but also care a little about the character and wonder what he might be going through. I’m not crazy about the overall design of the poster. But I think that going with Carell’s face front and center is the right choice.